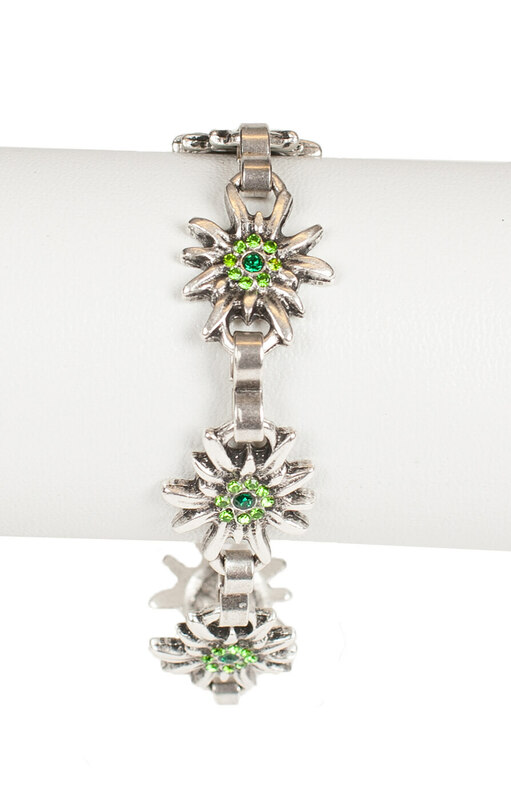 Stunning edelweiss and green crystal bracelet. Featuring shimmering crystals in vibrant colours and delightful Bavarian floral motifs, this exquisite edelweiss bracelet is a must-have accessory this Oktoberfest. 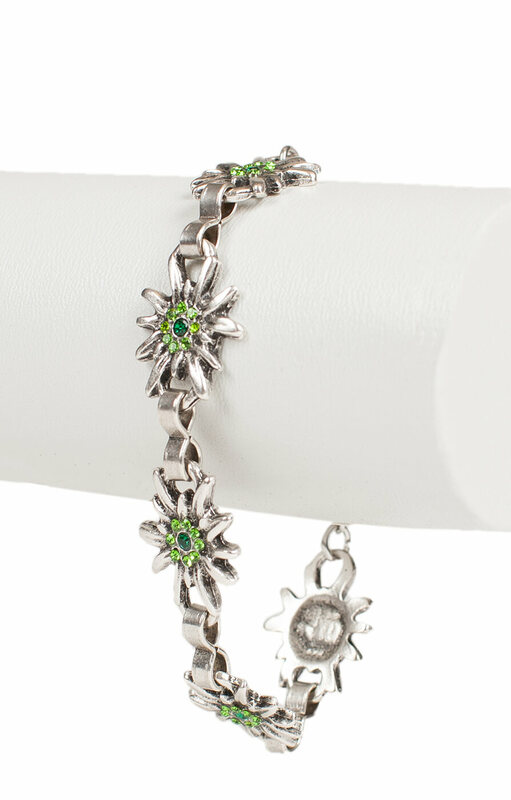 Each gorgeous edelweiss flower features emerald, peridot and citrine-coloured stones set in ornate silver flowers joined together by infinity links. Pair it with edelweiss earrings and a lovely green Dirndl to round off a well-coordinated Trachten outfit.